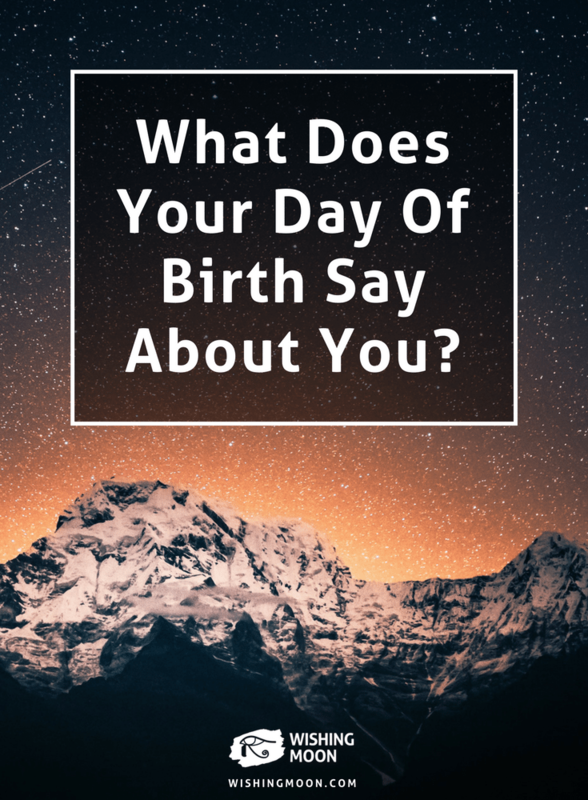 What Does Your Day Of Birth Says About You? Whether you’re mesmerised by the zodiac or obsessed with numerology, you’re probably familiar with at least one or two ways to gain psychic insight into your personality and potential. 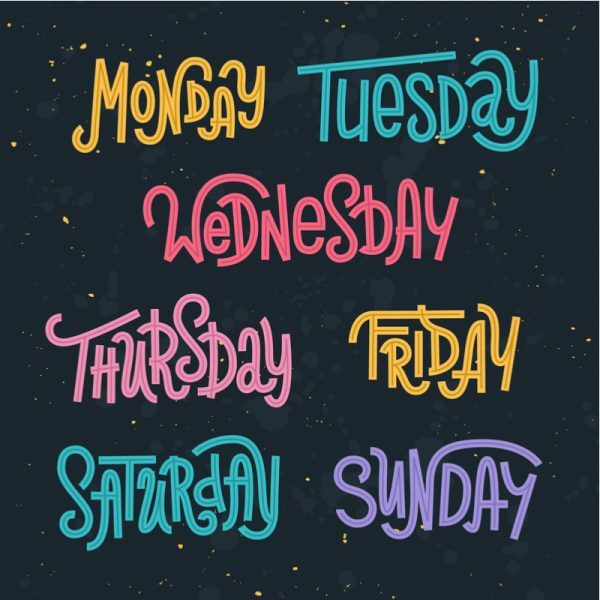 Although horoscopes are incredibly popular, few people are aware that the day of the week that they were born can also give them a glimpse into their world. Read on to find out what your day of birth says about you. You’re a people person and you love spending time with friends and relatives. You’re a peace maker and can always be relied on to settle an argument and help those around you to overcome petty squabbles. Although you have a multitude of qualities, you sometimes let your nerves get the best of you. A lack of confidence often rears its ugly head and your insecurities sometimes prevent you achieving as much as you could do. You’re an active and lively person with a passion for living life to the full. Your zest for action and adventure can sometimes see you feeling restless and frustrated. If you find alone time challenging, try to introduce a little more solitude to your life each week. Don’t worry – you don’t have to lock yourself away at home. Take a solo trip somewhere exciting and you’re sure to be blessed with a fresh new outlook on life. You’re a curious soul with a passion for knowledge and learning. You’re discontent when standing still and you get a kick out of bettering yourself and taking on new challenges. Your curiosity and inquisitiveness makes you creative, innovative and a real joy to be around. On the downside, you have a tendency to be a little disorganised and those around you often get frustrated by your clutter. You’re wise, caring and understanding. Your love for others makes you a respected member of your social circle and someone who can always be relied on for advice and support. Your leadership qualities are likely to take you far in life, but be sure to keep your stubborn tendencies under control. With so many people looking up to you, you often find it difficult to admit that you’re wrong. You’re a sensitive and peaceful soul who wants nothing more than for everyone to get along. You hate conflict and drama and you’ll do everything in your power to avoid it. Your friends can always rely on you to diffuse a tense situation and encourage others to settle their arguments calmly and maturely. Your sensitive nature can sometimes see you getting upset over little things. You don’t take rejection well and when things don’t go your way, you sometimes struggle to see past your immediate emotions. You’re a trustworthy person and your friends know they can count on you in times of need. Whether they’re looking for a shoulder to cry on or a good friend to party with, you’re always on hand to lighten the mood and transform a situation. You often have a habit of worrying far more than you should. Not only do you spend a lot of time fretting about the future, you also pay too much attention to the past. Focus on living life in the present. Meditation could help. You’re an intelligent soul and a deep thinker. Your incredible wisdom often forces you to think objectively and regularly question your own thoughts and opinions. Because you’re such a wise owl, your colleagues look up to you and your friends often turn to you in a crisis. On the downside, your introverted tendencies sometimes see you afraid to collaborate with others. There’s nothing wrong with spending time alone, but it’s wise to work with others from time to time too. How Do I Get Questions Answered Through Tarot?